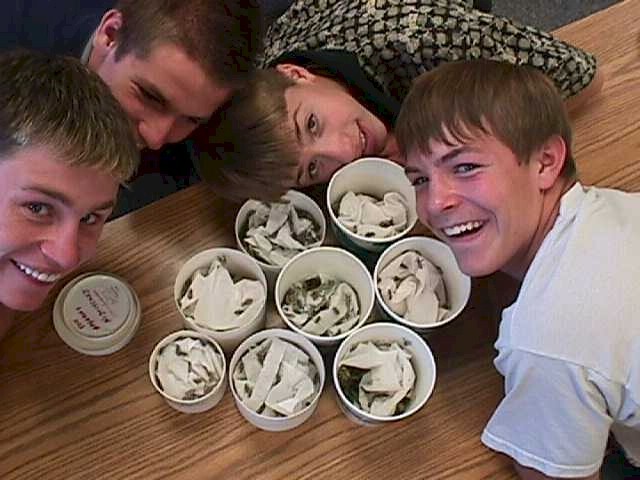 Students with 800 Weevils, Sept. '99. 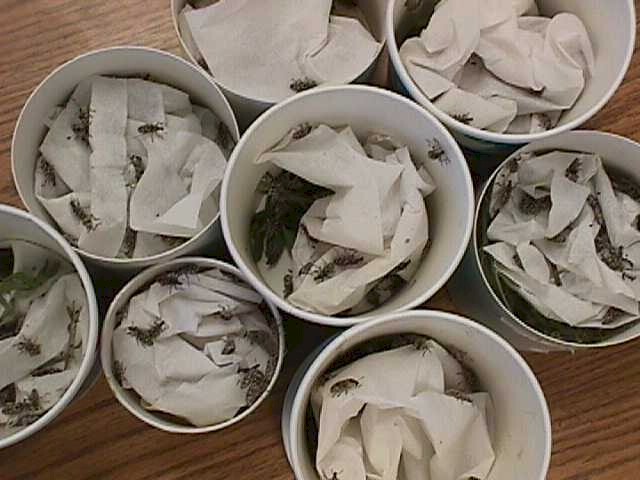 Here are some of the WHS students that collected 800 Cyphocleonus weevils for 8 releases of 100 each in Sept., 1999. A close up of 8 releases. Note the paper towels and fresh foliage in each to allow the weevils to seperate, cling, feed and get some moisture. Photos by WHS biology class.